THE BIBLE NATION: Is An Ancient Text In The Museum of the Bible Real Or Fake? Sketchy doesn't even begin to describe the controversy surrounding artifacts in the new Museum of the Bible, which is backed by evangelicals investigated for illicit artifacts (Candida Moss and Joel Baden, The Daily Beast). In 2014, an exhibit of biblical artifacts was displayed with great fanfare at the Vatican. Called “Verbum Domini,” or “The Word of the Lord,” it featured items from the Green Collection, which had been amassed by the owners of Hobby Lobby, the Green family of Oklahoma City. That collection of artifacts amassed by the evangelical family is part of the controversial soon to be opened Museum of the Bible. 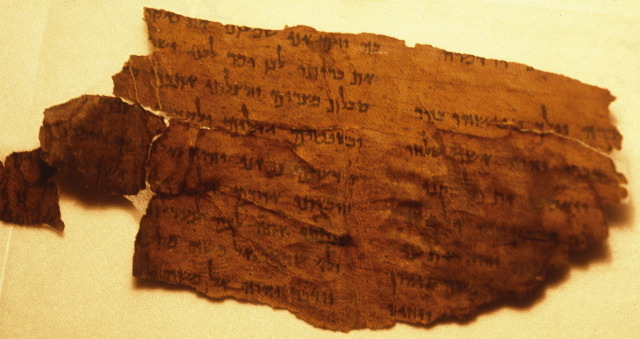 Along with rare fragments of the Dead Sea Scrolls and a first edition of the King James Bible were lesser-­known items, including some never-­before-­seen ancient biblical manuscripts. Among the two hundred artifacts was a papyrus fragment of the New Testament. Its edges are frayed, but it is clearly decipherable: the text is from the second chapter of the book of Galatians. It is written in Coptic, the language of Egyptian Christianity for much of the first millennium. While visually it looks like Greek, because it uses many Greek letters, the script hints at the papyrus’s origins in the arid climate of late antique Egypt. Given its small size—­about four inches by four inches—­most visitors probably gave it little more than a passing glance. But it immediately caught the eye of Roberta Mazza, a papyrologist from the University of Manchester. Although this was the first public display of the papyrus, Mazza had seen it before: it had been offered for sale on eBay less than two years earlier. This article is adapted from the authors' new book, Bible Nation, on which more here and links. For many past posts on the Museum of the Bible, Hobby Lobby, and the Green Collection, see here and here and follow the links.